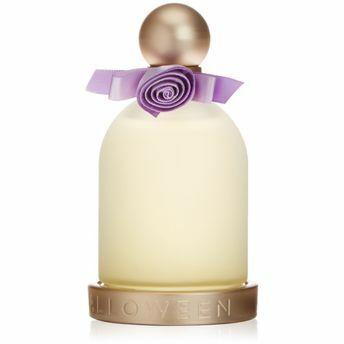 J Del Pozo Halloween Fleur Eau De Toilette is inspired by youth, full of dreamy endeavors and high ideals.The feminine, floral fragrance accentuates the innocence, honesty and youth in us, a reflection of the ability to daydream.The dreamy composition opens with top notes of Halloween Fever glitter and refresh with Italian bergamot, juicy drops of orange with a sophisticated ladylike trail of rose essences. A heart provides a gentle, floral bouquet of lotus, ylang ylang, Egyptian jasmine and juicy apricot, while a base ensures a sensual finish of bourbon vanilla, Indonesian patchouli, musk and tonka beans. Explore the entire range of Perfumes (EDT & EDP) available on Nykaa. Shop more J.Del Pozo products here.You can browse through the complete world of J.Del Pozo Perfumes (EDT & EDP) .Alternatively, you can also find many more products from the J.Del Pozo Halloween Fleur Eau De Toilette range.